Welcome to the Property Preservation website! This site has tons of info for anyone working in property preservation or thinking of starting out. Our background comes from successfully running a company in this field for years, so you know we speak from experience. 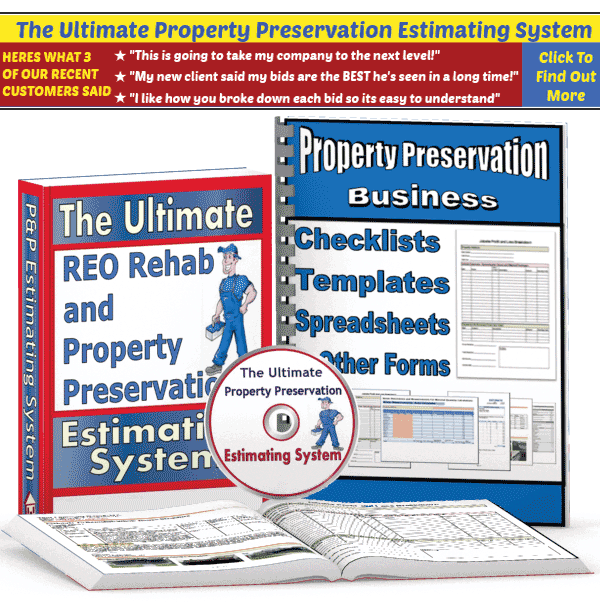 If you are new to the Property Preservation Industry and are looking for information about how to complete the most common types of work orders, then this section is for you. If you’re looking for National Property Preservation Companies who are actively hiring vendors and/or are conducting research and would like an “unbiased” source of information, then this is where you should start out. This page has been completely updated in February 2016. We have created a page for each of the 50 States that contains Property Preservation Industry information that is specific to each location, such as HUD Pricing for P&P maintenance tasks, an updated list of all the regional and national Property Preservation companies who are looking for vendors in your area right now. You will also find other state specific, helpful info such as when winterization and grass cut seasons begin and end, how to deal with clients who don’t pay you (each state is a little different when it comes to mechanics liens) and much more. These pages will be constantly updated so don’t forget to “bookmark”.